Who doesn’t need some sunshine today. 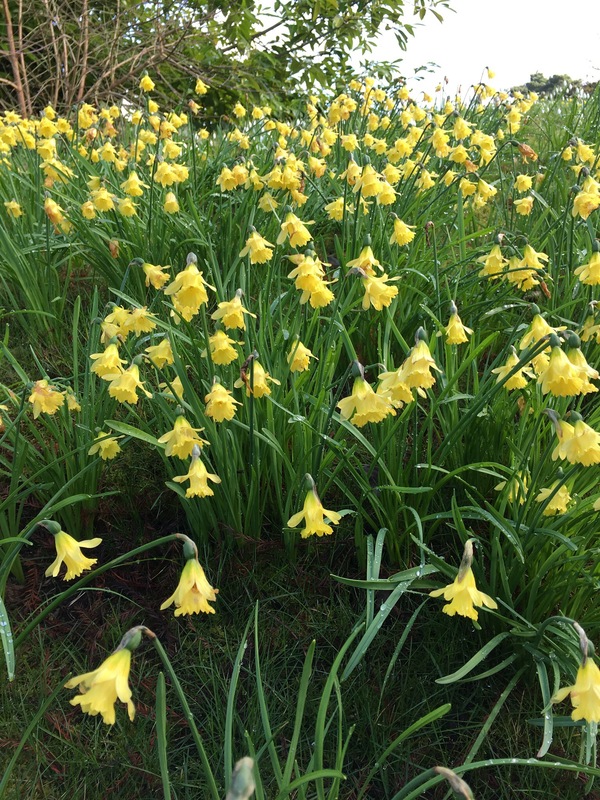 Bank of narcissus Cedric Morris after the rain at Hodsock Priory. Gardens open daily until 5th March. Not just snowdrops; scented shrubs, hellebores, dwarf Iris, crocus, aconites, plant sales, and most importantly – cake and tea! Daffodils already!! How I long for spring here in the cold east of France. Great photos! What a wonderful sight! I’m putting Hodsock Priory on my to-visit list.